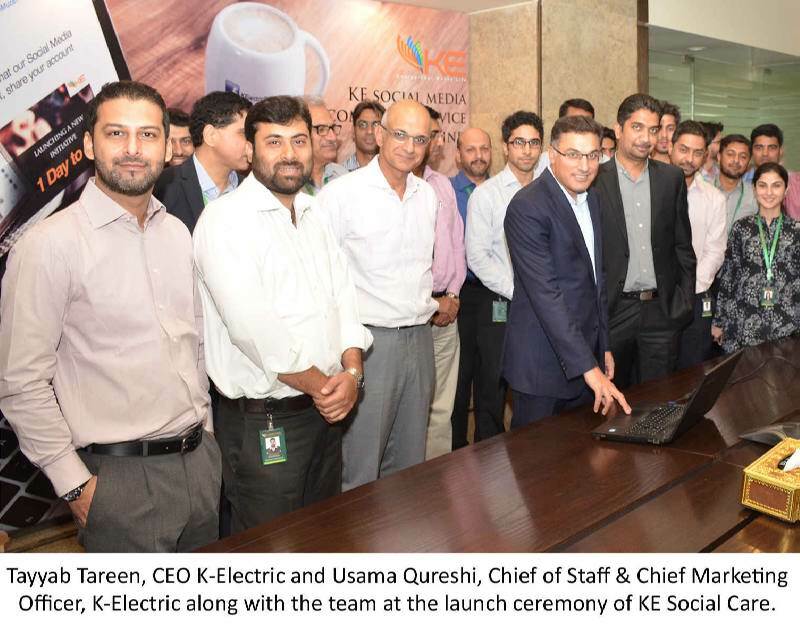 Lahore: K-Electric, formerly KESC through its press brief was proud to announce that it has become the first ever power utility in Pakistan which now offers Complaint Ticket Generation on its Social Media network by integrating its SAP-CRM with Social Media. At the launch of this Social Care Initiative at the KE House, CEO KE Tayyab Tareen said, “We at KE do not only invest in our Generation, Transmission and Distribution network, but even in our Customer Care Services as they are of utmost importance. Through this initiative we give our customers a service which would help them register complaints without any difficulty or effort”. Customers can easily avail the ‘KE Social Care’ services on KE’s Facebook and Twitter page and after a one-time registration process, customers will be given the complaint number immediately as all their details will be mapped on their User ID through which they have logged in. This would help customers to get their complaints across via Social Media and KE would handle this vast database with ease through the integrated SAP model. Earlier complaint registration was only being done on the Customer Care Helpline ‘118’, the 8119 SMS service and via emails, but now customers can easily get their complaints registered on KE’s Social Media network too. Currently, KE has 134,600 followers on Facebook and 24,000 followers on Twitter.